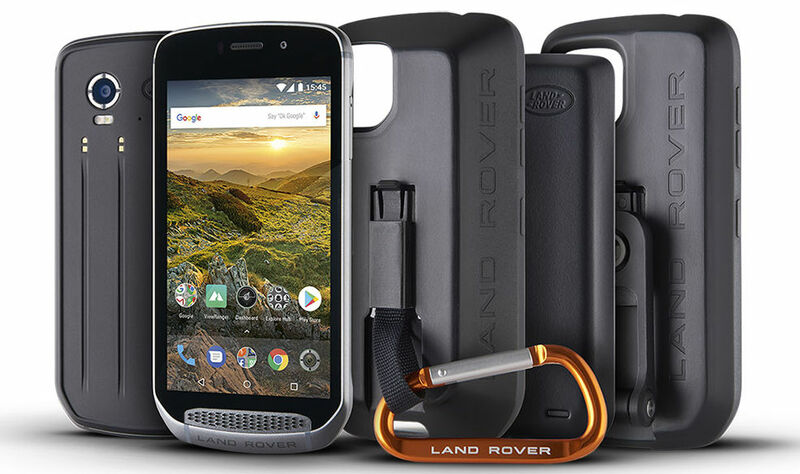 Land Rover and Bullitt Group introduced Land Rover Explore Smartphone at Mobile World Congress (MWC) 2018. It has swappable back covers called packs that can extend capabilities. Land Rover Explore has a 5-inch (1920 x 1080 pixels) Full HD display with wet finger or glove support, Corning Gorilla Glass 5 protection Powered by 2.6GHz Deca-Core MediaTek Helio X27 processor with 4GB RAM and 64GB storage. On Camera, it has a 16MP Rear Camera and 8MP front camera.Packed with a 4000mAh Battery. The Adventure Pack adds 3600mAh additional battery, GPS patch antenna that improves the reliability and accuracy of the GPS and premium topographic mapping with Skyline augmented reality, powered by ViewRanger. It also acts as a TPU Protective case and comes with Stainless Steel Carabiner with canvas strap. The Bike Pack adds a Bike Mount and case for both stem and handlebar. You can also tilt it to adjust viewing angle or change device orientation. The Battery Pack has 4370mAh battery. Land Rover Explore is priced at €649 / £599 and will be available for order from April through landroverexplore.com. showcased at the Mobile World Congress in Barcelona, followed by the Geneva Motor Show from 8th-18th March.